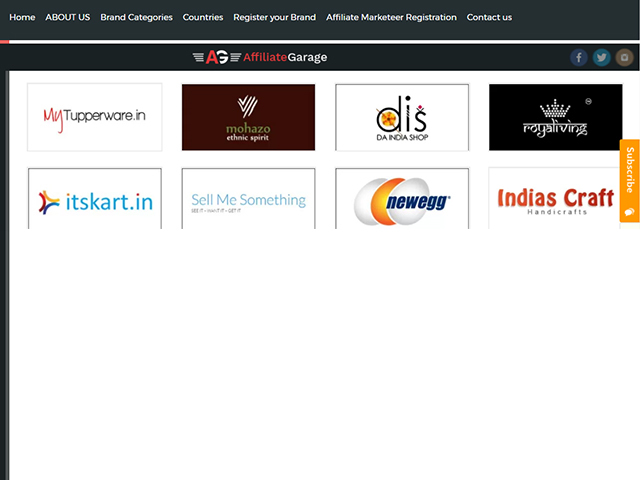 AffiliateGarage is a Free Discovery Platform for Affiliate Marketeers. It provides a listing of direct, and via-network affiliate opportunities. With Affiliate Garage, we have accomplished to simplify the quest of an Affiliate Marketer to monetize his digital assets/properties.